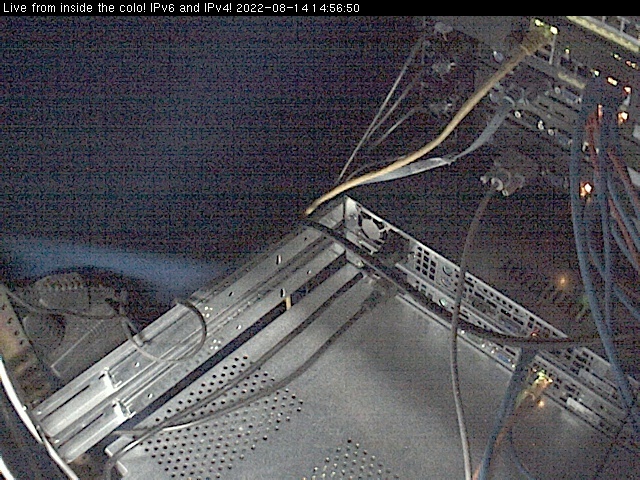 All Cameras >> United States >> California >> Alex Broque Cam - Live from Inside the Colo! IPv6 and IPv4! Alex Broque Cam - Live from Inside the Colo! IPv6 and IPv4! 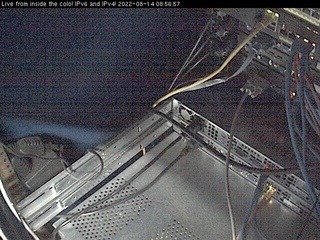 Facility: Alex Broque Cam - Live from Inside the Colo! IPv6 and IPv4! Only an IT person can appreciate this camera. Looking at the back of a switch doesn't excite me.